Spine specialist, Dr, Bryce Milam discusses a spinal condition called spondylolisthesis treated non-surgically with Cox Technic. Dr. Bryce Milam is a 1982 graduate from Western States Chiropractic College in Portland, Oregon. 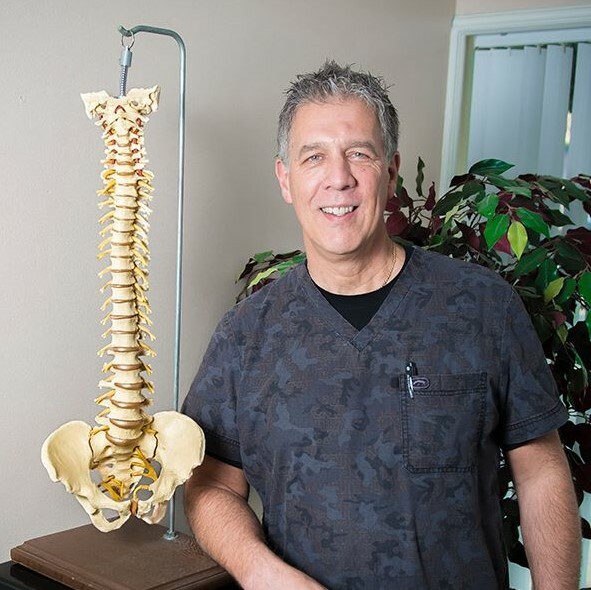 He is also a graduate of the Spine Research Institute of San Diego, the American Academy of Manual and Physical Medicine, and is a certified member of Cox ® Technic , one of only seven certified in the state of Oregon. He started the clinic with a vision to help others and become a rock in the Parkrose community. Over the years his clinic has grown and now shares this vision with Dr. Jackie Cashion, Dr. Daniel Capitano and Dr. Evan Halbert.